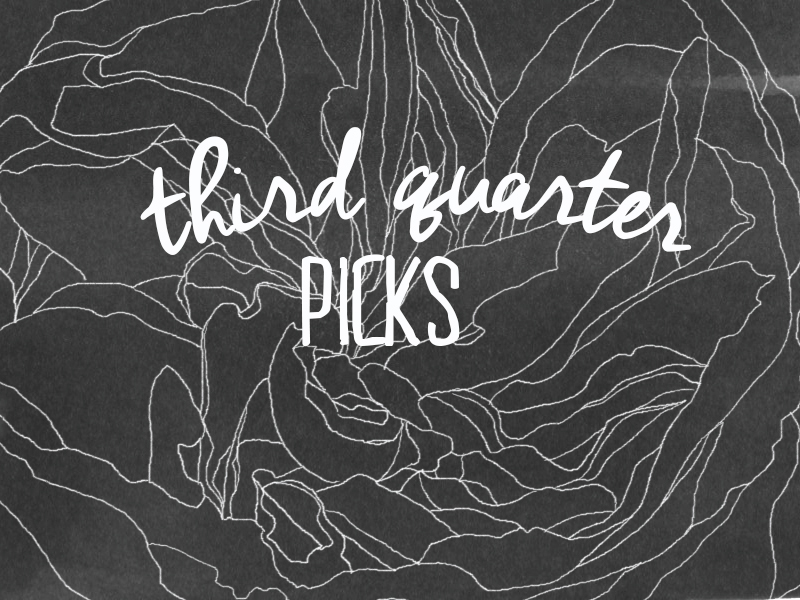 Faves for the third quarter! I actually started listening to Nick Mulvey last quarter, but I forgot to put him on the list (hehe). But that actually makes things better, because then, I would have only paid attention to his track “Meet Me There”. When I first heard of the song, it reminded me of the late 60s-70s music (actually, I believe my first words upon hearing it is, “Lakas maka-Woodstock.”). There’s something very simple and quiet in his tune, much like Simon and Garfunkel and NIck Drake’s, and I find that very beautiful. As I’ve had more time exploring his tracks on his album First Mind, Nick’s a pretty solid guy (look, he even has a Mercury Prize nomination to prove it!). I had a major freak out when I first listened to Thomas Dybdahl. It was one of those love at first listens kind of thing. Like, I was convinced that this is my main crush this year. But like most whirlwind romances (ha ha), my crush didn’t stick that long and I forgot to follow through. Doesn’t mean I didn’t remember the feeling when I first heard him though! And yeah, writing about him will warrant a follow through. So maybe there’ll be a rekindling of flames? Let’s just say that I watch most of the movies Keira Knightley is in so I already know that she could sing. But her songs for Begin Again’s soundtrack are really good, and I’m thankful that Keira had the chance to show people that she’s more than just a gorgeous face. Some people like Adam Levine’s version better, so I’ll just put the link up here. The new Alt-J album is out (insert stadium-like screams)! They have been teasing us since July with “Hunger of the Pine”, “Left Hand Free”, and “Every Other Freckle” and I lapped it up like a thirsty puppy but when I had my first listen for This is All Yours, I found myself drawn to “Warm Foothills.” Probably not the strongest and attention grabbing track, but it’s calm and soothing. I like Angus and Julia Stone’s new album. It looks grunge-y hipster cool. I just want to cry every time I hear this. It sounds so complete. So beautiful. So breathtaking. This might actually be one of those rare times when I find the studio version better than its earlier version. I found this song on YouTube a few years ago (it was probably 2011), it was then called “Pompeii”. It had a piece of my heart then but NOW IT’S THE PRETTIEST SONG OUT THERE AND IT HAS ALL OF ME. I’M JUST SO HAPPY DAMIEN IS BACK TO SPREAD SOME GOOD OL’ MELANCHOLIA – I’m sorry, my last two entries are apparently giving me too much emotions and my caps lock usage is on an all time high. But this is Damie Rice so I CAN FREAK OUT YEAH? I’m happy to say that I was introduced to SOHN by The 1975’s George Daniel. That sounds like we’re personal friends (I wish – but friends? really? Haaa) but he curated a pretty cool playlist that includes tracks that are more on the electro side. It’s a nice discovery. Kite String Tangle is an alternative-electro artist from Australia. “Commotion” is the best pick-me-upper. I mean, really, try playing that in the middle of the day when you’re in that particular after lunch rut. Hands down, sexiest song in this list. Maybe for the whole year. Sufjan, you win the game of seduction, sir. I gushed about these guys before. Penn Badgley! Exciting! Totally love this. Sure, Echosmith reminds me of the likes of Paramore – and they’re probably gonna have teen fans (if they didn’t have those already) following their band over the years. I can’t deny the fact that “Cool Kids” is a good pop song: catchy, easy, and uhm, cool. Plus, come on, the lead’s good looking. This is a given. Congrats, Echosmith, make more albums. People will buy it. Probably. 70% of me is not ashamed. Maybe 80%. Hilary is queen. Sure, I liked Lindsay more then, but this is Lizzie Maguire! Sure, there’s not even a hint of maturity or growth from her previous songs. But maybe that’s the good thing about it. It’s new, but it’s the same. Don’t fix it when it’s not broken. I miss 90s RnB. I miss Sisqo’s “Incomplete”, Usher’s “U Got it Bad” – you get the vibe, right? Well, this is it. And I’m down with this (I just ignore the video). If you’re wondering whatever happened to that band Dicta License, then here’s your answer. They’re now called Malay. And they have a new album. And it’s pretty awesome. I have yet to see She’s Only Sixteen live. I have been wanting to see them since they were announced to play for Wanderland in 2012 (or 2013)? The days has yet to come, but this song’s a pretty good tease, isn’t it? Because they’re coooool! Previous fangirling recorded here.